I watched an incredible TED Talk recently. Maybe you’ve seen it, maybe you haven’t. Either way, it’s worth (another) watch. 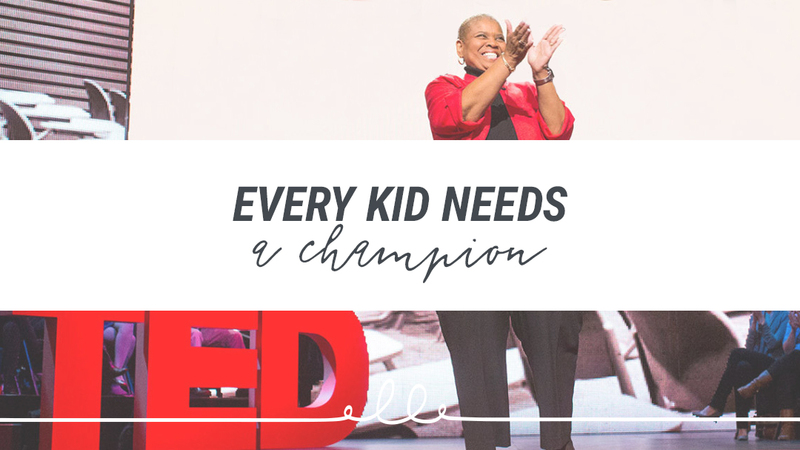 Rita Pierson is an educator, but the ideas she talks about here are way bigger than just tactics to help kids learn. I heard a talk about connection . . . influence . . . grace . . . compassion . . . and love that changes people. Youth pastors, small group leaders, whoever you are — if you work with kids, take a few minutes to watch this.